We've learned, a repo company has been hired to reclaim a 2013 G-Wagon Tyga owned ... it's the same one he gave to Blac Chyna. Remember, Tyga had it repainted last August and Kylie was seen driving it to her birthday dinner at Nobu. It looked like it was her birthday present, but she denied it. According to the docs we've seen, Tyga hasn't made payments on the SUV since October, and now the repo company is on the hunt. 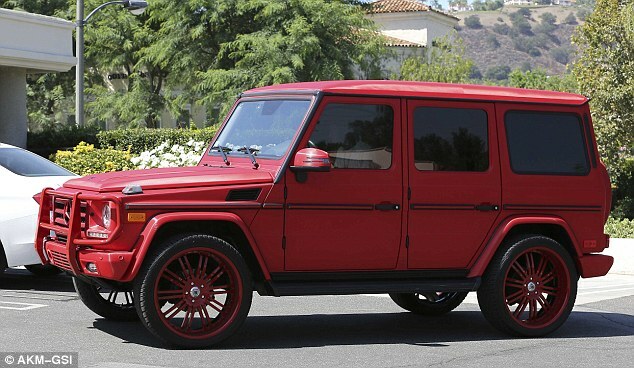 The docs ID Kylie as Tyga's girlfriend and give her address as a possible place to repo the G-Wagon. Our repo sources say the company has been trying to get the whip since last month, but they've been thwarted because it's been parked at Kylie's house and she's behind 2 security gates. This is the latest in what seems to be a series of Tyga's financial woes. He was slapped with tax liens totaling $120,000 and also faced eviction for non-payment of rent.